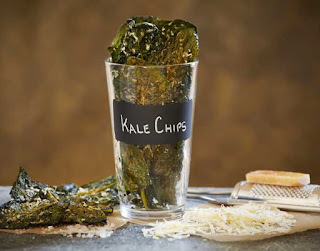 One cup of kale has only 36 calories and 0 grams of fat, making it great for those who are watching their weight. Besides keeping you full for longer with its high fibre content (5 grams of fibre per cup), kale also packs a potent punch of sulphur. Both these elements are superb for aiding digestion, detoxifying the body and keeping your liver healthy. This super-food has hefty doses of beta-carotene, calcium, folate, iron, magnesium, potassium, and vitamins A, C, & K – in far larger quantities than you’ll find in most other vegetables. Plus, it delivers 4 times more magnesium and calcium than brussels sprouts; more vitamin C than carrots or spinach, and more folate than broccoli. All these vitamins and minerals protect skin against photo-ageing (sun damage); help you fight off certain cancers; nourish your hair, skin, and nails from the inside out; and even help reduce dark under eye circles. Kale’s dark green leaves contain a healthy level of omega-3 fatty acids, which help regulate the body’s inflammatory process, maintains smooth and dewy skin and helps fight against arthritis, asthma and autoimmune disorders. Kale is a superstar in the arena of carotenoids and flavonoids, two powerful antioxidants that protect our cells from free radicals that cause oxidative stress. 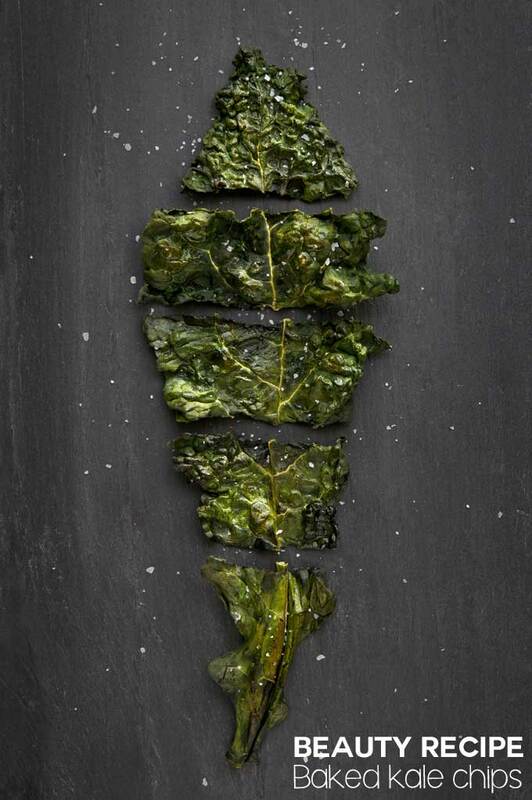 In normal-people language, that means kale protects our skin, body and hair against premature ageing. So, now that I have convinced you of kale’s health and beauty benefits (have I or haven’t I? ), let’s see how the good lady turned these somewhat boringly flavored leaves (well, you can’t win on all fronts, even if you are a green leafy vegetable) into the perfect guilt-free snack. One that’s delicious to boot! Preheat the oven to 95 degrees C (200 degrees F). Carefully remove the leaves from their stems with a knife and tear them into bite-size pieces. Thoroughly wash and dry the kale leaves with a salad spinner. 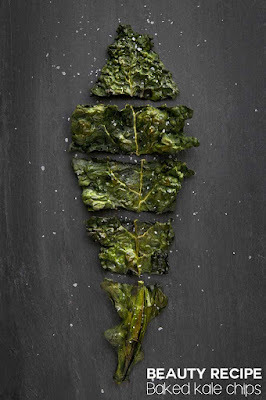 Drizzle the leaves with olive oil and sprinkle with seasoning salt. Bake until the edges brown but are not burnt (takes 15-20 minutes). And you are done! What’s your favorite healthy snacking recipe? Do share.